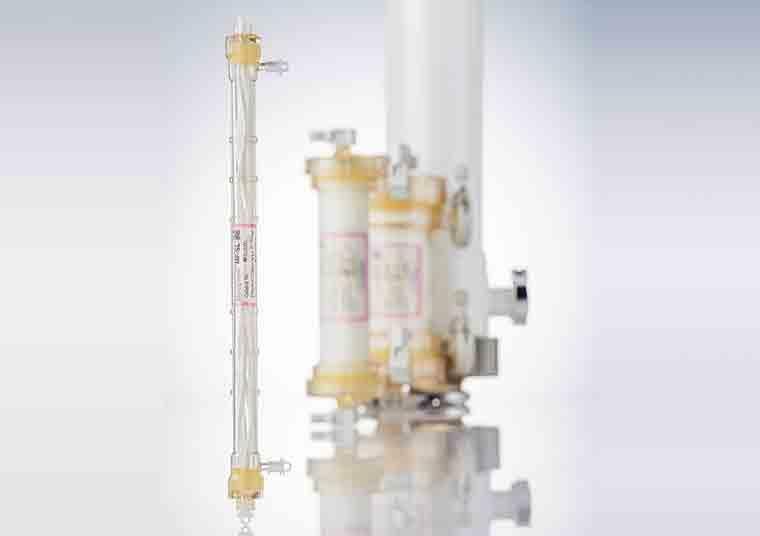 BioOptimal MF-SL is a hollow fiber microfilter that utilizes an efficient filtration mechanism based on size exclusion and tangential flow filtration. These two aspects allow the filter to smoothly and effectively separate the contents of a solution. Quick links to selected Data Sheets, Product Manuals or Validation Reports related to the product. Quick links to selected literature, case studies or articles related to the product. BioOptimal MF-SL is able to clarify solutions quickly and completely in a single processing step. Therefore, it simplifies the cell culture clarification process and makes it more cost-effective by eliminating the needs for large investments like centrifuges and expensive disposable items like other depth filters. The feed fluid flow across the membrane surface creates a sweeping action, preventing quick fouling and extending filtration duration. Monoclonal Antibody (mAb) is one of the main focus categories in biopharmaceuticals. There are several types of cell culture systems such as fed-batch and perfusion culture. Although conventional batch systems are widely accepted in the current process, perfusion based cell culture systems offer the potential to greatly increase cell density and productivity for a long term periods. 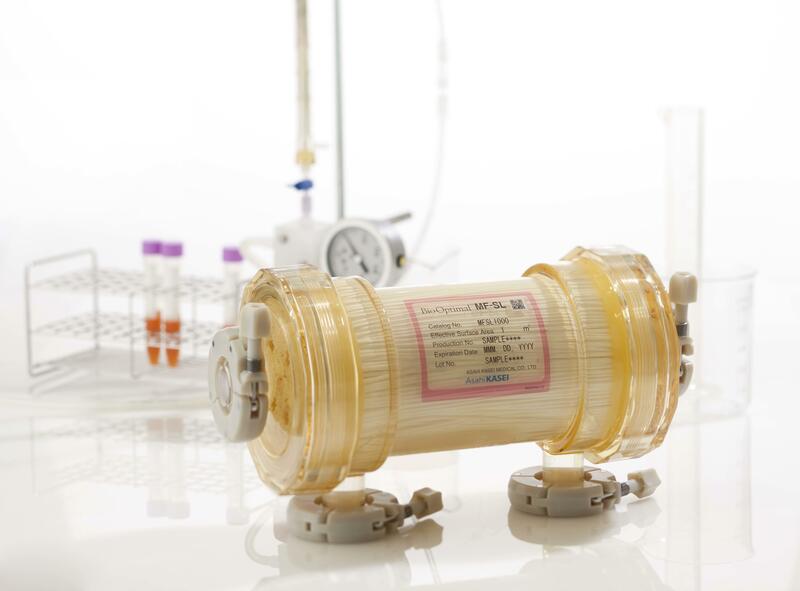 It is widely accepted that hollow fiber works as a cell separation device in perfusion culture. 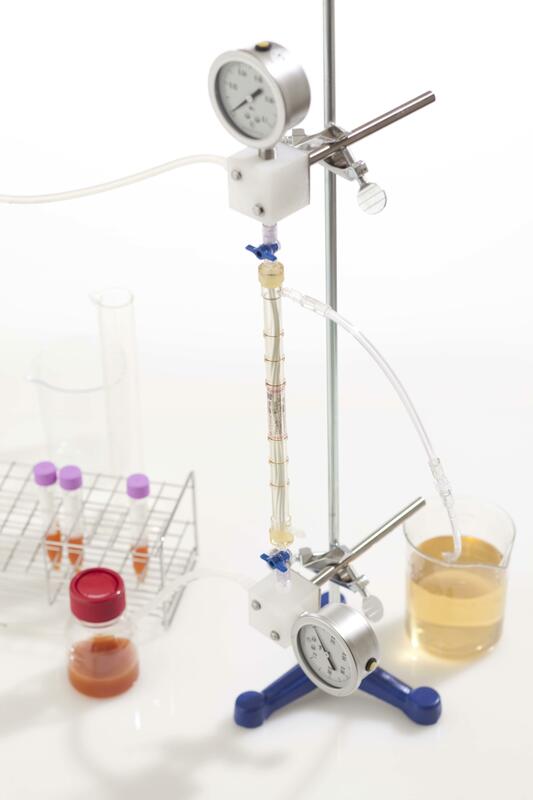 We conducted to evaluate the performance of perfusion cell culture in TFF (Tangential Flow Filtration) system. Cell culture: Antibody-producing Chinese hamster ovary (CHO) cells were cultivated in serum free media. Cell density was maintained at 50-70 ×106 cells/mL by bleeding. Bioreactor working volume was adjusted by membrane area. Flow rate (L/min) was adjusted so that the shear rate inside of hollow fiber became 1500 s-1.